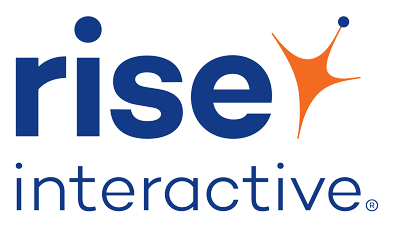 Rise Interactive is one of the world’s fastest growing full-service digital marketing agencies, specializing in media, analytics, and customer experience. Rise has set itself apart since its founding in 2004 through its award-winning Interactive Investment Management® (IIM) philosophy. Similar to the concept of a portfolio manager, the IIM approach looks at an entire investment across digital marketing channels and shifts budgets based on performance and the opportunity to maximize returns while delivering the most relevant customer experiences. We have invested substantially in building proprietary technology--Connex®--which enables our team to uniquely find and activate on insights to improve media performance faster than our competition. Rise’s dedicated Amazon team offers Amazon optimization services for Sponsored Ads, Amazon DSP, Organic/PDP Strategy, A+ Content, and Store Management. Rise works with leading Retail, OEM, and CPG brands who want to take advantage of Amazon’s focused marketing solutions to find scale and efficiency within their programs. Leveraging our robust and industry-leading digital marketing experience in search and programmatic, Rise has developed proprietary strategies, technology, and reporting to help brands maximize their investments within Amazon while integrating Sponsored Ads strategies with Amazon DSP, as well as with other digital marketing investments.